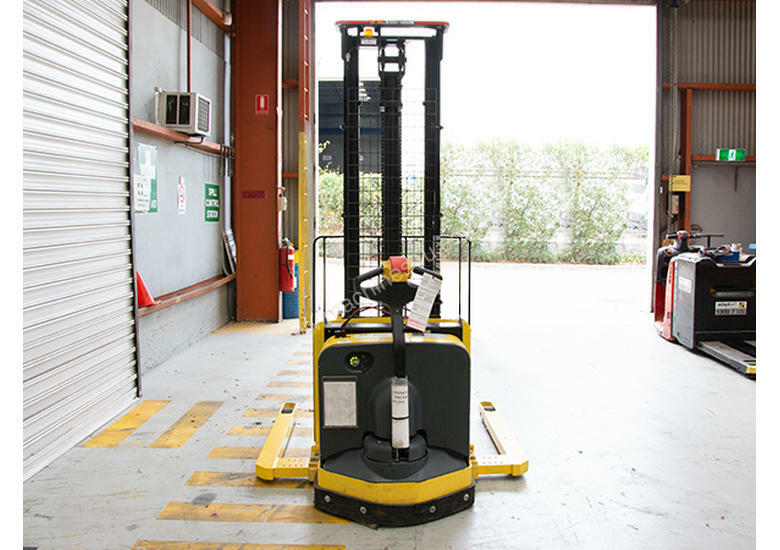 •	The creep or “turtle” speed button, located conveniently on the bottom-side of the handle allows you to maneuver the ZA-straddle stacker series in and out of tight areas, with the steer handle in the upright position. 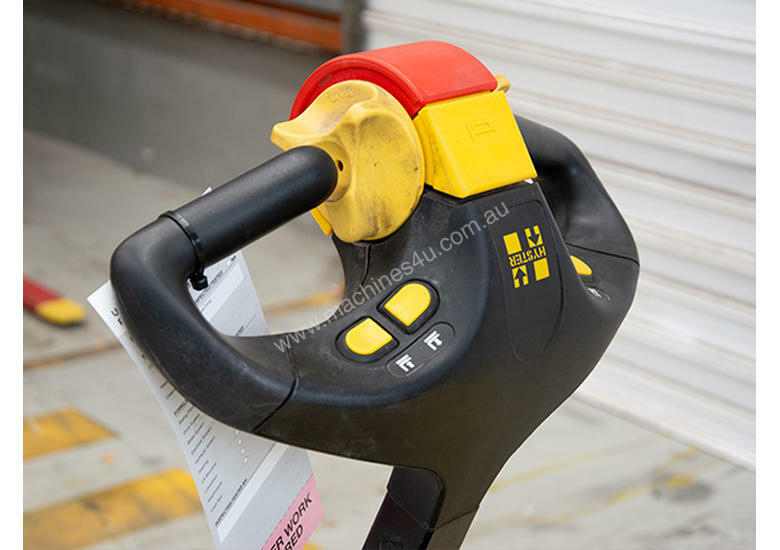 •	Bottom mounted steering control handle’s ergonomic, easy-to operate, finger tip control of proportional lift/ lower, travel speed and direction, and an optional sideshift makes load handling easier and more precise, increasing your productivity. 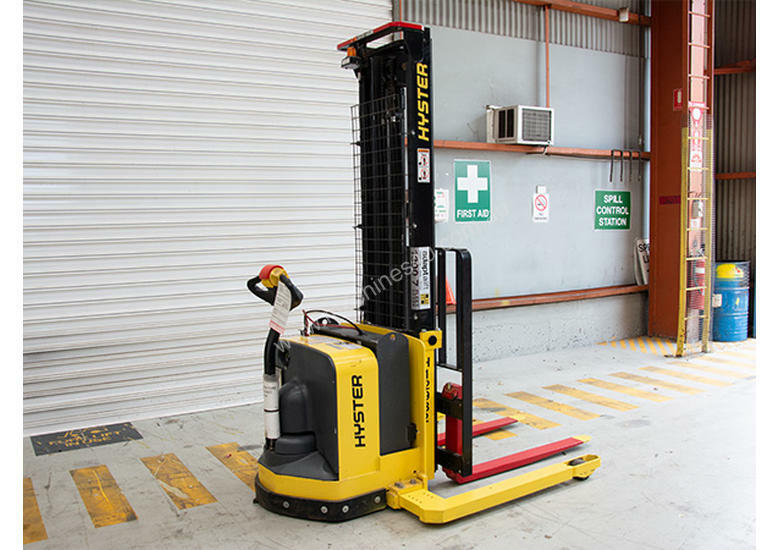 •	The Hyster® walkie stacker product line’s advantageous head-length and multi-function, bottom mounted steering control handle gives you incredible load handling control with excellent maneuverability. 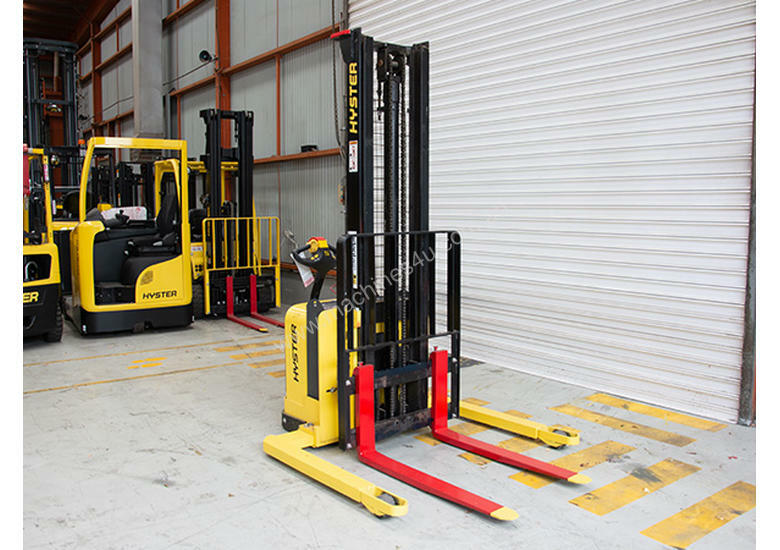 •	Our three operator selectable performance modes allow you to choose between three preset user configurations that affect acceleration, deceleration (neutral braking), and top travel speed. 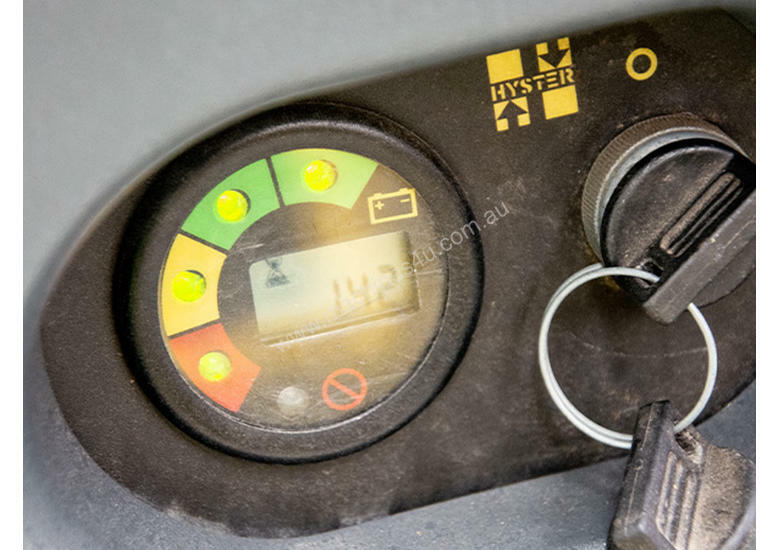 •	Truck diagnostic information can be read using a hand-held programming tool (optional) or by checking the status of the LED indicator mounted on the controller. And all wiring is tagged for quick, easy circuit tracing. 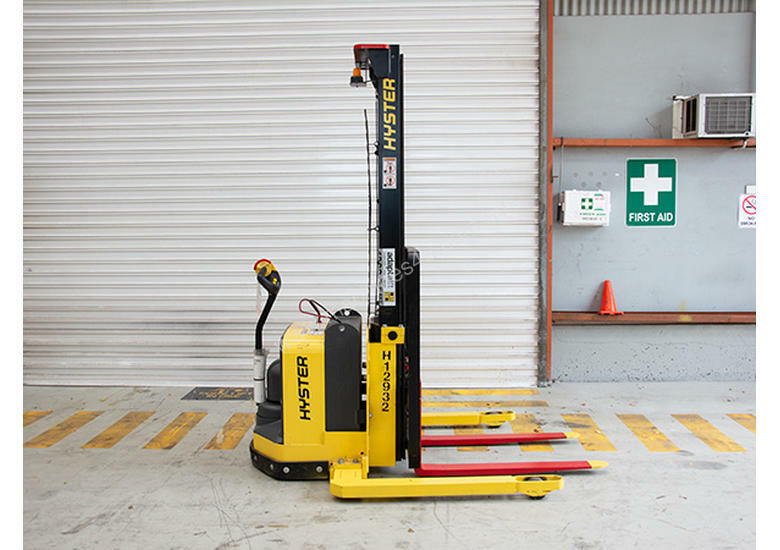 •	The heavy-duty Walkie Stacker series features a tough, unitized construction that is robotically welded, for superior reliability. 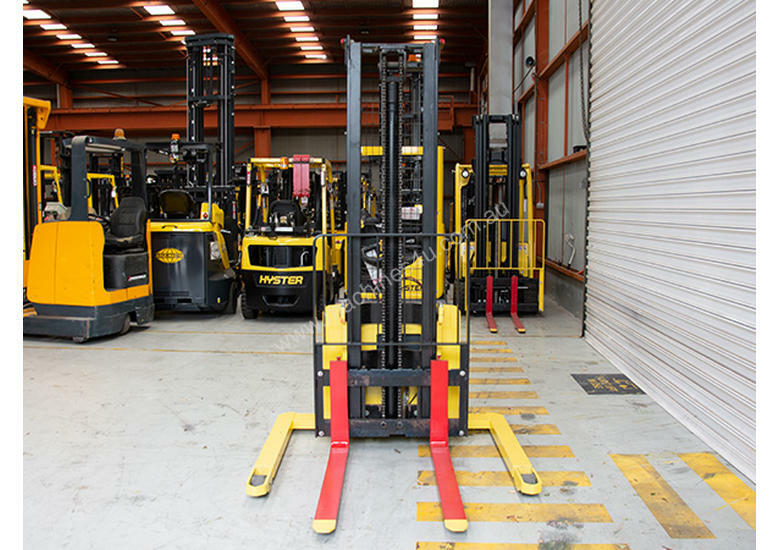 •	Serial communications and solid state switches with soldered wire connections increasing reliability and uptime, replace the hydraulic pump contactor, forward and reverse contactors and their corresponding maintenance costs.